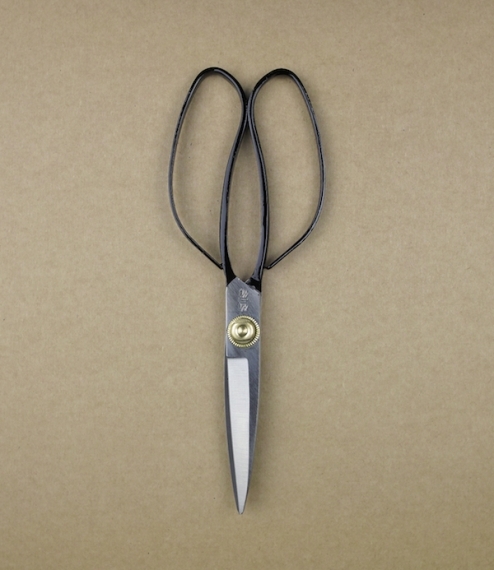 Hand forged with a san mai blade construction, meaning hard fine grained steel perfect for forming and holding a persistent sharp edge has been laminated to a softer more flexible steel for greater tensile strength, these scissors have a lightness and easy action which belies their durability and toughness. 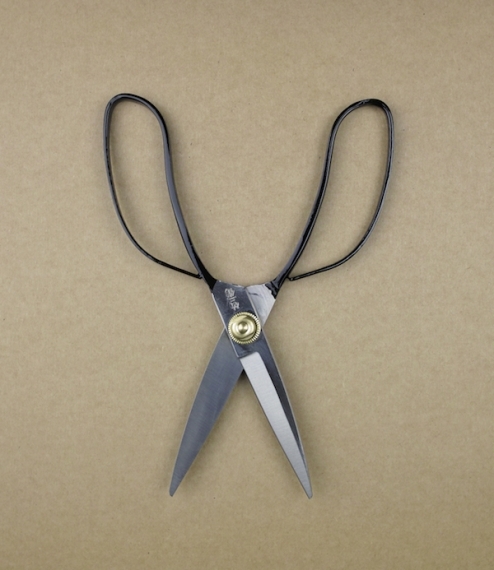 With an adjustable pivot, and near razor sharp edge these are perfect for highly precise cutting and delicate materials. With a blade of just under 7cm and an overall length a little over 18cm.